Šiauliai Air Base is the heart of NATO's air policing mission over the Baltics. Every six months a new NATO member brings a contingent of fighters to defend the skies over Estonia, Latvia, and Lithuania, and ever since Russia invaded Crimea they've been busy. But it does make for some spectacular photo ops. 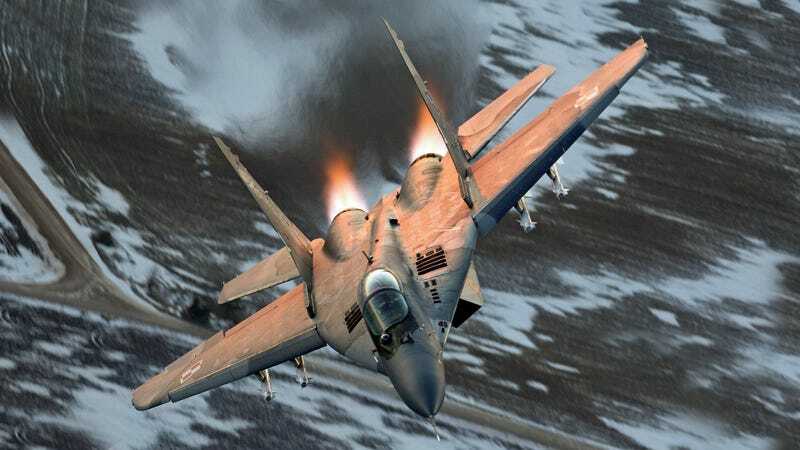 The Polish Air Force's inventory of a about 30 MiG-29 Fulcrums, many of which were sold to Poland by Germany for a symbolic one Euro, are a fan favorite and have recently been through a comprehensive avionics upgrade and life extension. They can now integrate with NATO forces and will remain a valued component of Poland's Air Force alongside their advanced Block 52 F-16C/D stablemates for years to come. Italy's fleet of close to 100 Eurofighter Typhoons are a stark contrast to Poland's secondhand, albeit upgraded, Fulcrums. The Typhoon's blistering performance, incredible 'sensor fused' avionics and pilot interface make it a threat to virtually any aircraft in the world that dares to stand against it. With Russia drastically changing its geopolitical stance on the world stage, the Baltic Air Policing mission is not just about protecting air sovereignty or intercepting unresponsive aircraft as it largely was for many years. Now it's become a tripwire force should this new emerging Cold War with Russia ever go hot. With that in mind, along with the need to meet the demand of constant Russian military flights skirting the Baltics, NATO members are sending more aircraft to support the mission and arming them more heavily than ever before.